If you’ve got the cash and you want the best TV money can buy today, this is it. 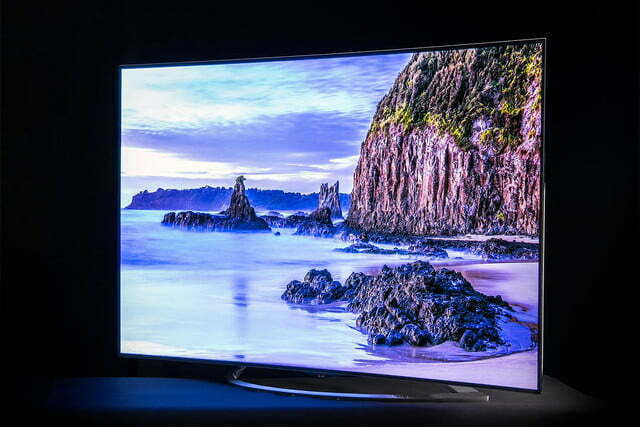 By now, you probably already know that Ultra High Definition (UHD) content has four times the resolution of 1080p TV. 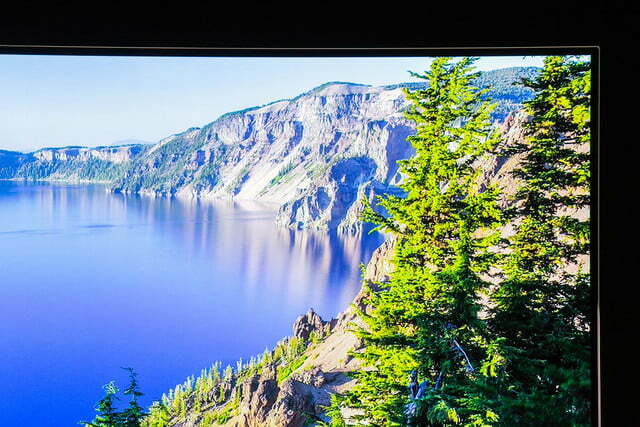 What you might not know is that the rest of what UHD means, from color gamut to high dynamic range (HDR) lighting, is still being decided by a group called the UHD Alliance. And that’s a scary prospect for anyone looking at a new UHD TV right now, like LG’s $10,000 65EC9700 4K OLED. 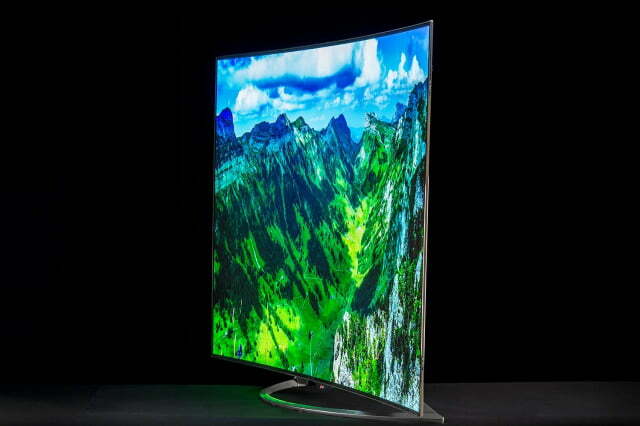 Will it and other UHD TVs be rendered obsolete? Even deep-pocketed early adopters have to wonder if dropping that kind of cash on a TV makes sense if it won’t be able to hang under a new standard. Truth be told, the standards aren’t set yet, so LG can’t really say its TVs do or don’t adhere to a standard that doesn’t exist. But it should be noted that OLED technology already provides a high dynamic range of contrast, thanks to its perfect black levels. In other words, LG’s OLEDs are already delivering an element of picture quality others aspire to. What I do know – beyond a shadow of a doubt — is that LG’s 65EC9700 is the best-looking TV in the world right now, and the only thing that will be able to beat it in the foreseeable future will be another 4K OLED TV, probably from LG. 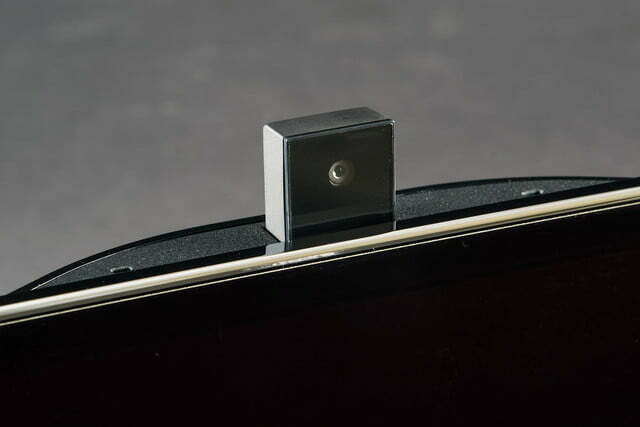 If you’ve got the cash and you want the best picture quality money can buy today, this is it. For a 65-inch TV, the 65EC9700 comes in a relatively light and compact box, complete with stand attached. At just 54.1 lbs. you might be tempted to try to lift it out of the box yourself. Don’t. The risk of damage is too great and, besides, you’ll want to share this moment with someone because the first time you see this TV, it’s pretty breathtaking. The first time you see this TV, it’s breathtaking. This is the only curved TV that makes any sense to me. 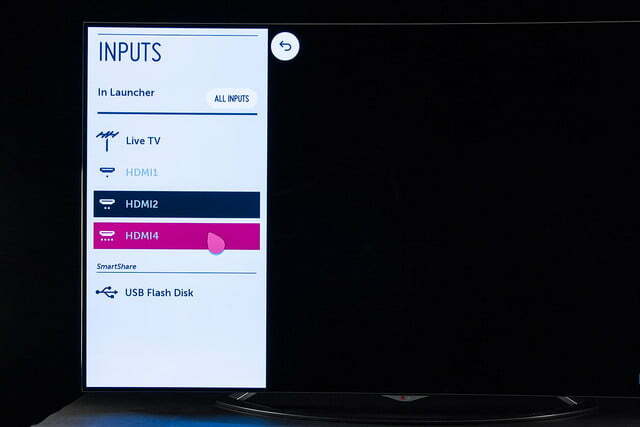 If you’re going to curve a TV (a design point which provides a mostly aesthetic benefit) it should be an OLED TV. OLED televisions have near-perfect off-angle viewing properties, so the curvature does little to degrade or distort an image. 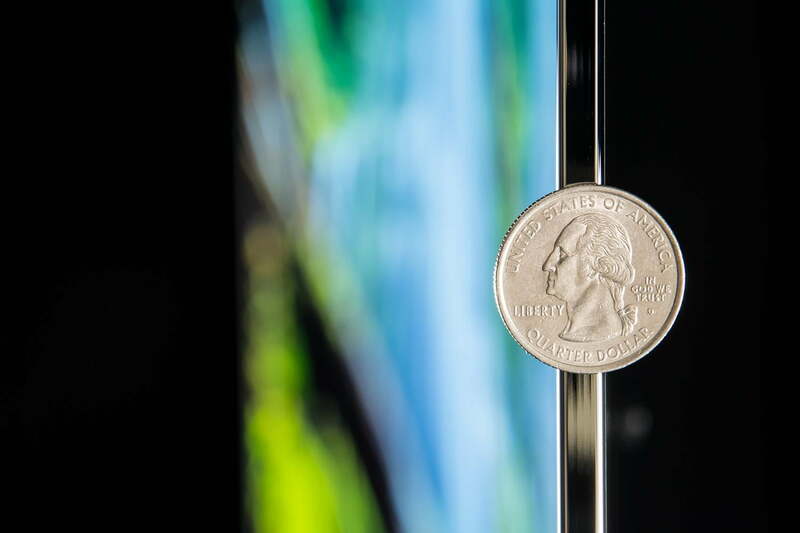 Plus, an OLED’s razor-thin profile looks good curved. Then again, when you sit down in front of the TV and turn it on, that curve disappears. 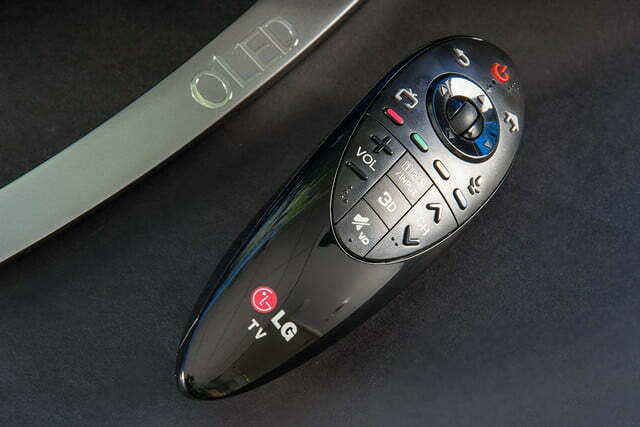 In the box with the TV is a large black box with compartmentalized accessories tucked inside, including LG’s Magic Motion remote control with batteries, and a combo pack of 3D glasses, two standard glasses and two clip-on versions. 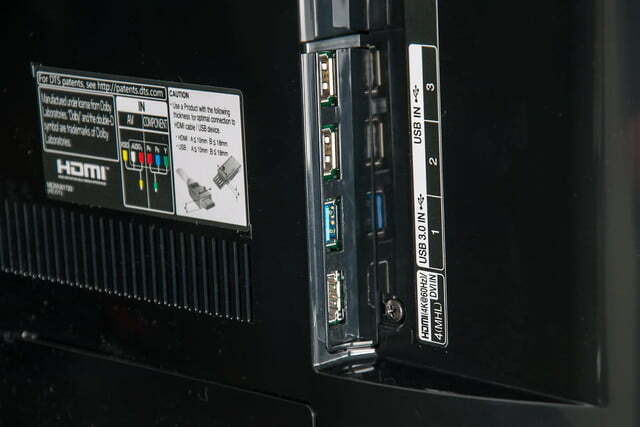 The 65EC9700 offers up four HDMI ports, each one slightly different than the other. For instance, HDMI 1 gives you HDMI ARC functions with HDCP 2.2 support, HDMI 3 supports 10-bit color, and HDMI 4 supports MHL. The TV also packs in three USB ports, the first of which is USB 3.0 compliant. Wi-Fi is built right in, with support for several wireless display platforms, including Wi-Di, Wi-Fi Direct and Miracast. As its flagship OLED TV, the 65EC9700 also boasts LG’s first-generation webOS user interface and operating system, with a fully-functioning Web browser, Skype video conferencing (add-on camera required), and a full suite of apps, including UHD-capable versions of Netflix and Amazon Prime Instant Video. At CES, we had a chance to play with the next version of this operating system, webOS 2.0, and it offers some fun and useful new features, but unfortunately the 65EC9700 is not capable of being updated to the latest version via firmware. Even in its first iteration, webOS is still our favorite user interface available right now. Getting the 65EC9700 up and running is about as simple and entertaining as such a process can get. 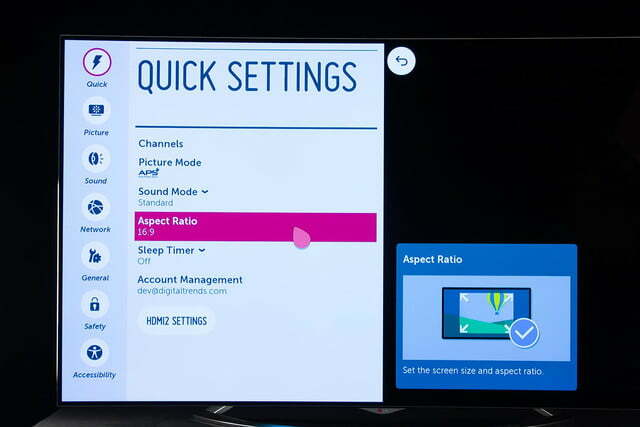 The webOS system wizard uses bubbly animations to guide you through everything from telling it what your Wi-Fi password is, right down through what kind of components you have connected to various inputs. 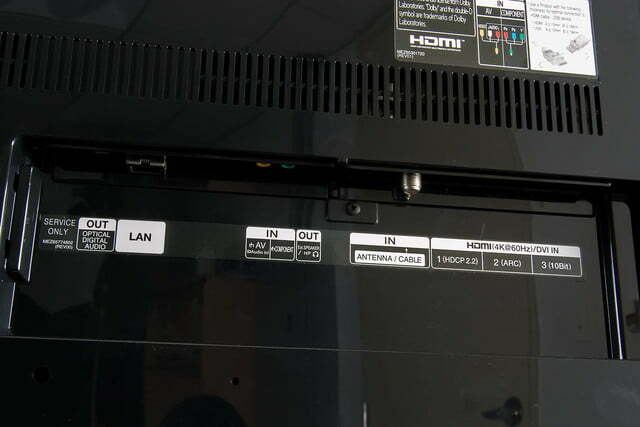 It will of course scan for local TV stations if you have an HD antenna connected, or you can closely integrate the TV with a cable/satellite receiver and service so that it can make finding and accessing programming easier. 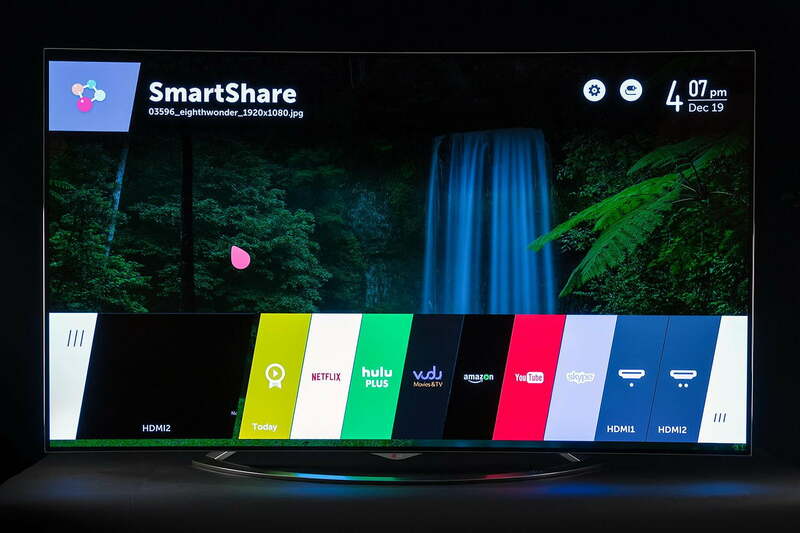 For this review, I used a wide array of content sources, including two 4K media servers, Pioneer’s excellent Elite BDP-88FD reference Blu-ray player, Oppo’s BDP-95 Blu-ray player, Roku 3 set-top box, Amazon Fire TV box, an HD antenna, and, of course, LG’s built-in apps for Netflix and Amazon Prime Instant Video. I considered using this space to regale you with tales of how I saw details in the dark and complex scenes of Harry Potter and the Deathly Hallows Part 2 unlike I’ve ever seen before, describe the rich variations of color that I saw while streaming Orange is the New Black on Netflix, or attempt to describe what it’s like to be entranced by something as seemingly unremarkable as the gleam of a NFL football player’s helmet. To do so would be an unnecessary use of space, though, I think. Simply put, OLED is the best display technology available today; everything else is a compromise. You get the point: LG’s 65EC9700 is the finest television available for purchase today, bar none. But by how much? 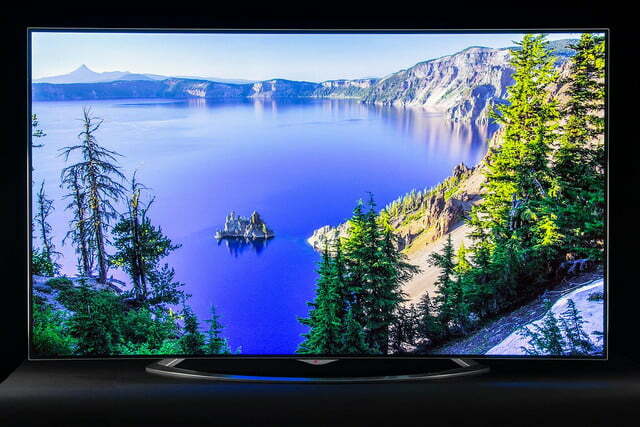 At CES 2015, Panasonic, Samsung, and nearly every major TV manufacturer showed off dramatically improved LED/LCD TVs, with better black levels, screen uniformity, and color reproduction than I thought was possible from that sort of display. With that said, OLED produces a far superior picture to any LED/LCD TV on the market, and it’s a difference anyone can see. Just to be sure of that, I sent out a handful of Digital Trends colleagues to go take a look at four specific television models being displayed on the show floor, and each one of them called LG’s 4K OLED the winner, hands down. The LG 4K OLED’s not-so-secret advantage is in its perfect black levels, perfect brightness uniformity, total lack of backlight bleeding, and zero “halo” effect around bright objects on dark backgrounds. Engineers have had to work long hours figuring out how to mitigate or at least reduce the effects of an LCD screen’s inherent limitations: Full-array backlighting, advanced local dimming algorithms, and backlight scanning are all just workarounds for limitations that OLED TVs don’t have. Simply put, OLED is the best display technology available today; everything else is a compromise. Of course, that superior display technology comes at a price, as OLED panels remain expensive to manufacturer, and tough to produce on a large scale. As a result, LG’s pride and joy costs more than most people’s first car. But as years pass and companies like LG continue improving OLED tech, these kinds of televisions will drop in price, and more of us will be able to enjoy them. For now, however, it must be acknowledged that competing flagship LED/LCD TVs get really close for a whole lot less money. 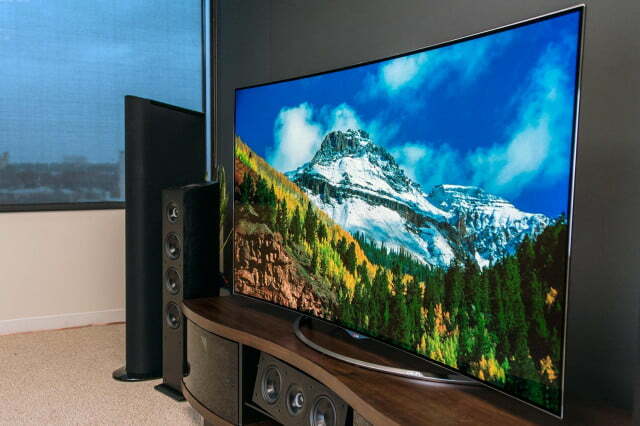 Is this TV is a realistic purchase for you? Probably not. But at this tier of performance, “value” goes out the window. If I’m to rate a television based on its performance capabilities, execution of user interface, general ease of use, and overall design aesthetic, then I am left with no other choice but to call this TV a perfect 10. Seriously, I’ve never been so sad to see a TV ship out of my office before. I’ll miss it deeply. But I can take some comfort in knowing that LG will be introducing a whole new series of 4K OLED TVs later on this year, some of them flat, even. And when I get to review those televisions, I’ll probably say about them what I’ve said here. 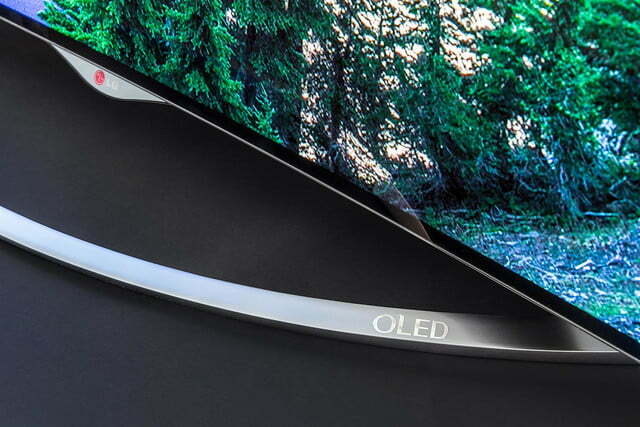 OLED is the future of television, and right now, LG’s leading the charge.